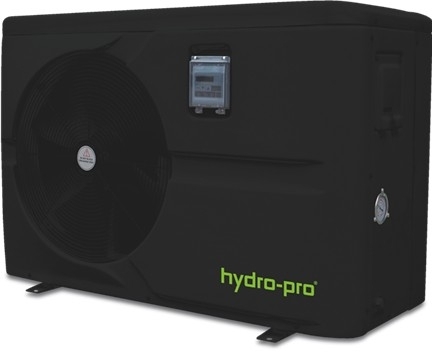 Hydro-Pro 10 Swimming pool heat pump. Heats pools up to 40 cubic metres. Latest R410A ozone friendly refrigerant. Requires a water pump with a minimum 2.8 cubic metres hour flow rate to operate correctly. 240V Single phase model - Running current 7 amps, we recommend the MCB circuit breaker controlling this circuit is a type D circuit breaker, if you are not sure contact us for help. Offering an output of 10kw the Hydro-Pro 10 pool heat pump is ideal for heating swimming pools up to 40 Cubic meters. This heat pump gathers heat from the surrounding air and delivers it to the heat exchanger to warm the pool water. These are extremely energy efficient pool heat pumps and can offer a COP value of up to 6.2 depending on the outside air temperature.